So without question when your a big UFC fan as I am, then you need to know how much are UFC tickets? Next step is get the info on – where can I book myself some UFC tickets? Well just relax, because right here at the MMAGateway, we will give you everything you need to get clarity on the answer to both questions so you can get to the important part of getting your ticket. I will also give a brief overview breakdown of the fights, for the up and coming UFC 213: Romero vs Whittaker event on July 8th in the famous T-Mobile arena, Las Vegas, Nevada. So prepare for the full package – an analysis of the action, and the best ticket booking information, so you can have a thrilling night of entertainment in good old Las Vegas in July. Originally we were supposed to see Cody Garbrandt vs T.J. Dillashaw as the main event of this card, but he fight has been cancelled due to an injury to Garbrandt. So now we bear witness to Robert Whittaker vs Yoel Romero, which is a truly mouthwatering bout at 185 pounds for the interim title. Robert Whitaker vs Yoel Romero for the interim UFC Middleweight title bout is the replacement for Garbrandt vs Dillashaw being cancelled. Have to say while the interim title is pointless, this fight itself is absolutely awesome! Everyone at Middleweight has been scared of Yoel Romero, the guy is a walking mountain of muscle, yet his athleticism and power has shocked many opponents particularly his last bout against Chris Weidman. Robert Whittaker has also been on a tear at Middleweight, and is building his own fearsome reputation after beating Jacare Souza with ease in his last bout. Both men have one punch KO power but picking a winner is tough, but the odds makers will probably go with Romero as the favourite. Cody Garbrandt vs T.J. Dillashaw – FIGHT CANCELLED (Due to an injury to Cody Garbrandt) is going to be explosions, as you can no doubt feel after watching that awesome promo. So in the fight itself, there’s no doubt Cody has the bigger power in his hands, but that is not to say that T.J. doesn’t hit hard because he does, with possibly superior footwork/angles and head movement to Garbrandt. T.J. probably throws more, but Cody has one shot KO ability in his hands, and is really developing his game incredibly fast as he showed in the fight against longtime former champion Dominic Cruz to win the title. Too tough to call for me, but gun to the head I’m going with Garbrandt to defend the title. But this fight has been cancelled so we will have to wait for this bout to be rescheduled. Amanda Nunes vs Valentina Shevchenko for the Women’s UFC Bantamweight title is a rematch that I have really been looking forward to seeing – the two fought to a close split decision where Nunes narrowly triumphed on her route to the title. In this bout I have a strong feeling that Shevchenko will be able to pull of the upset and defeat Amanda Nunes- I say this because in the first fight after losing the first two rounds Valentina started to really dominant Nunes in the 3rd and if she had two more championship rounds I’m not the only one that thinks she would have beat Nunes – but only time will tell in this second bout, so we all better tune in to find out! Alistair Overeem vs Fabricio Werdum is going to be one hell of a heavyweight bout, Werdum being the former champion and Overeem having fought for the belt just recently. Both men have taken a beating from the current champ Stipe Miocic, and I think most people will have a similar opinion of this fight – if it stays standing you have to go with Overreem to land something big and finish the fight with his Muay Thai skills. But if it goes to the ground, you can bet that Werdum will have a significant advantage given his world class pedigree of Brazilian Jiu-Jitsu. Robbie Lawler vs Donald Cerrone is a fight that has been scheduled before but didn’t come to fruition, this time both men need to pick up a win, as both men have had their stumbling blocks recently. Its very difficult to pick a winner here, but I would say that we can almost be certain that this bout will be contested purely on the feet, and given both men’s penchant for finishing fights, I don’t think this one will go to the judges and is definite contender for fight of the night. Anthony Pettis vs Jim Miller is an interesting fight as former champion Anthony Pettis tries to get his career back on track after taking some bad losses in recent years. Miller is one of the most experienced Lightweights on the UFC roster, and he will need all of that experience here, because if he can get the take down, he will possibly be able to pull of a big upset – but the betting man will likely go with a Pettis resurgence beginning in this bout, and you know when showtime steps into the cage, he will be looking for a flashy finish and this could be a bout where he gets one. Also on the under card we will have Curtis Blaydes vs Daniel Omeilanczuk, Thiago de Lima Santos vs Gerald Meerschaert as well as more fights to be announced on both the main card and under card, I’m sure you can see we are all going to be in for a real treat! So whats the ticket prices? Ok so now we have delved into the fight card a little, now lets get into the info on ticket prices, so we can book our seat at the T-Mobile Arena – so I must always remind people that every UFC event has its own ticket price list, therefore the costs do vary a lot. The most crucial factors in all this, is who’s fighting, where you want to be situated in the arena, and how close to the action in the cage you want to be. For this UFC 213: Garbrandt vs Dillashaw event on July 8th in the T-Mobile arena, Las Vegas, Nevada, the ticket prices currently range from $225-$3,115.00 (USD). You can look at all the prices and seating plans at my favourite place to get tickets. Of course by now you know that this UFC 213: Garbrandt vs Dillashaw event on July 8th in the famous T- Mobile arena, Las Vegas, Nevada is going to be absolute fireworks. What did Elvis say in that song? Oh yeah Viva Las Vegas! because that’s what you will be saying when your in Las Vegas gearing up for UFC 213 on July 8th. So now you know How much are UFC tickets? If your ready to start seriously looking at tickets then you can get the ball rolling right HERE. 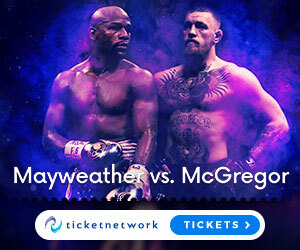 First time or last time, nothing compares to a UFC event in the flesh, and the best place to look for all future events ticket information is right here at the MMAGateway. Enjoy the fights, and see you soon! Awesome Shannon! I can tell your a buzzed as me for this card 🙂 i heard today though that Cody migt not make teh fight due to an injury 🙁 but T.J Dillashaw vs Demetrious Johnson would be a good replacement – thanks for your feedback!